Something was definitely stalking that bleak stretch of road outside Elkhorn, Wisconsin. 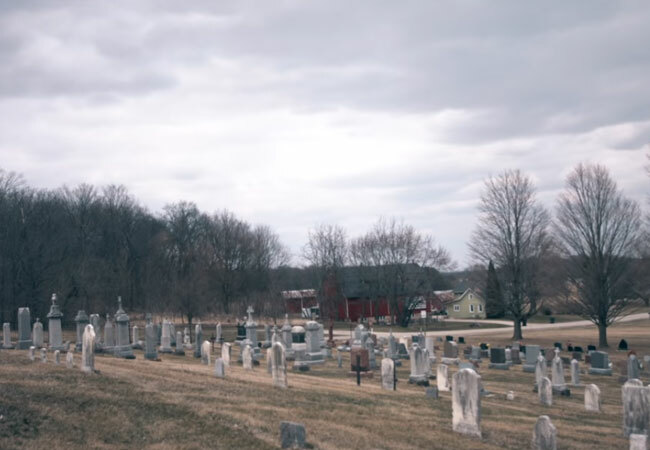 Director Seth Breedlove and the Small Town Monsters crew uncover the dark history of Wisconsin’s notorious werewolf in their latest documentary The Bray Road Beast. Small Town Monsters make movies about the strange happenings on back roads across the country, and they’ve dealt with some pretty odd subject matter. Bigfoot, Mothman, aliens, and other unidentifiable sightings have been featured in previous films. Of course, their darkest film to date is the one that brought to them to Wisconsin, where they filmed on location in and around Elkhorn. Wisconsin is, as Jay Bachochin of Wisconsin Paranormal Investigators says in the film, one of the top states for paranormal activity. The film sets the scene with a brief crash course in Weird Wisconsin, from hairy forest elves and lake monsters, to Satanic activity in Milwaukee and children who turned their friend into a sacrificial offering to Slenderman. It is important to understand just how rife with strangeness Wisconsin is before introducing the film’s namesake, the world-famous beast that has terrorized Elkhorn residents on Bray Road for decades. For me, however, the beast itself is the least horrific part of this story. Sure, it ran after people, ate some roadkill, and left scratches on one woman’s car. But the real chills come when Fredrickson begins to describe, in an eerily nonchalant manner, the occult rituals taking place in the woods while he was investigating numerous cases of animal mutilation in Walworth County. Another intriguing part of the film comes when the crew visits the farm of Lee Hampel near Bray Road, where the retired high school math teacher has been documenting strange phenomena on his property that continues to this day. Whatever that thing is out on Bray Road, it’s not your grandma’s cryptid, folks. This critter is weird AF. The dark Hammer Horror style of The Bray Road Beast works well, and the shadowy werewolf creature with red eyes glowing through the fog really amps up the creep factor. But the best part of the film for Wisconsinites might be seeing just how spooky our state is through the Small Town Monsters lens. Is there something uniquely bizarre about Wisconsin? It seems so, and The Bray Road Beast does a great job capturing that. Breedlove’s first foray into the horrors of our great weird state is unnerving and completely fascinating. Here’s hoping for Goatman or another Wisconsin monster in a future film. 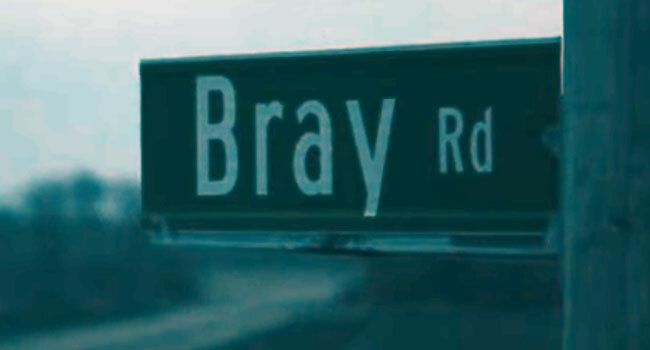 The Bray Road Beast is available on DVD and streaming on Amazon.